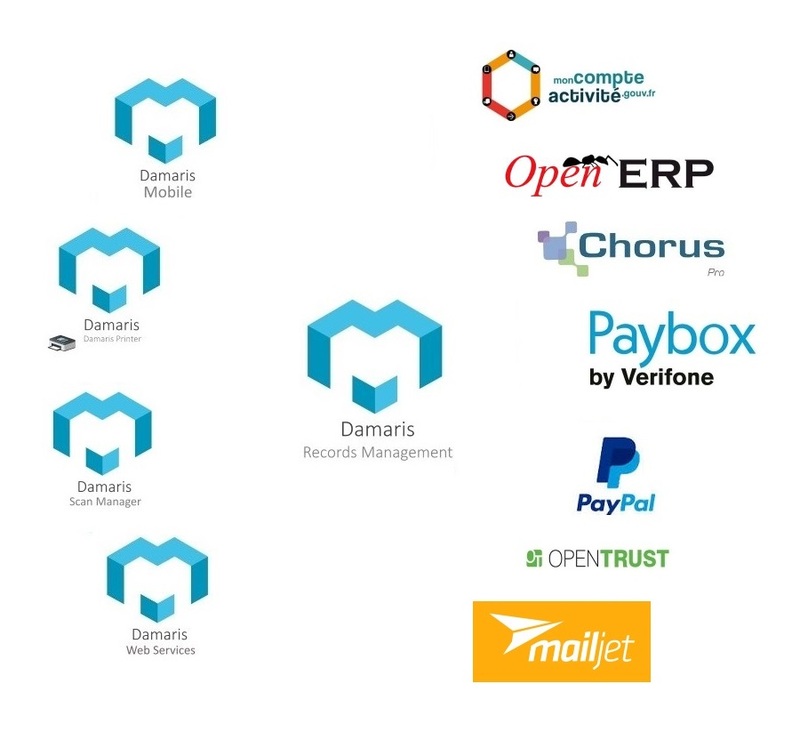 Damaris RM is the Central Solution interacting with other modules by Web Service. Damaris RM archives received documents in the Vault and guarantees DLM. (Document Lifecycle Management). At Damaris we are convinced that Records Management is one of best ways to ensure Legal Documents Life Cycle Management. Each new regulatory like GDPR confirms our intuition. At the same time, users want fluent solutions to interact with their daily documents. Damaris Ecosystem makes archiving and retreiving actions easyer. With Damaris Ecosystem users don’t have to change their habits. They access to their information everywhere, anytime they need.